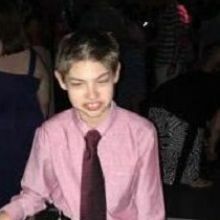 Conner is a 10 year old boy with Autism. He is a 3rd grade student at Russom Elementary. He has suffered speech issues since he was 2 1/2 years old. He loves to play baseball, play with Legos, and swim. 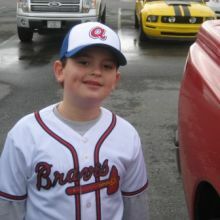 Nathaniel is a 9 year old with high functioning autism who loves watching the Braves. 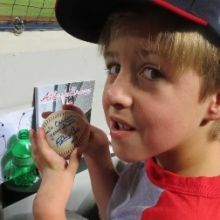 His favorite Brave of all time is Hank Aaron and his favorite current Brave is Craig Kimbrel. David was born with Down's Syndrome and is deaf. He was the youngest of 9 children and loves his family! He loves Brave's Baseball so much! He would love to be able to attend a game and experience the Superior Plumbing Club! Benjamin is an 11 year old boy who loves to go places, see new things, and does NOT want to stay home! 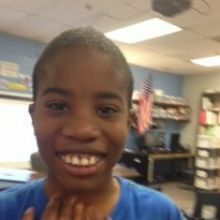 He is a fifth grade student in NE Cobb County. He has an identical twin brother named Samuel. Both Benji and Sammy have autism. Sammy loves to go places and see new things, too! Being able to attend a Braves game in the safety of the Superior Plumbing box seats would be ideal because both boys have a tendency to wander or run to see things that are not always ok to see. Being in the Superior Plumbing box keeps them safe and allows them to have FUN! They both need extra room to pace and wiggle and flap their hands! Thank you for considering Benji as a Superior Plumbing kid! 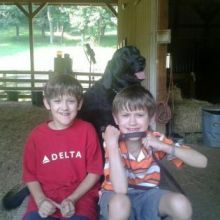 In the picture, Benji is the boy in the red shirt. Also, you see Barkley, their Autism Assistance Service dog! When I first met Colin he was very introverted. Colin has autism and he was very self-conscious. He would not even walk out of the room by himself to go to the rest room. Colin has shown much growth personally and academically this year. He now doesn't think twice about running an errand for me. He is also interested in reading and visits the school library often. His reading skills have improved. He has made great gains and continues to do so! 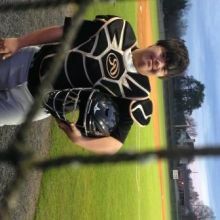 Steven is a huge baseball fan and loves his role as manager of Sprayberry High School's varsity team. There's nothing better than cheering on his SHS Yellow Jackets from the dugout! 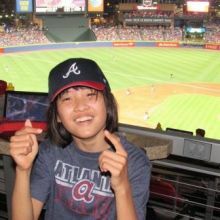 Steven also loves attending Atlanta Braves games and can't wait for the season to start. Davonte is a great athlete who finds his joy in sports. One of his nicknames at school is "Skills" because he's very talented in baseball and basketball. 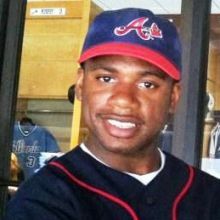 Davonte would love to go to a Braves' game! Carson is a 13 year old fun baseball loving fan! 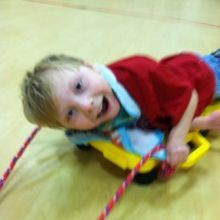 He was born with a joint disorder that limits him physically, but it does not limit his joyful spirit! This 11 year old caught Braves Fever two years ago. She loves the Chop and Take Me Out To The Ball Game. The fans in the next section cheered her on. For a little girl that can't say much, she makes up with her expressions. 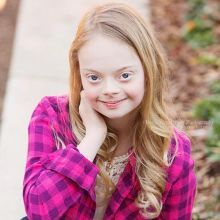 Lily is a vivacious, fun loving girl who happens to have Down Syndrome. She enjoys make up, shopping, acting, modeling, swimming, horseback riding, cheerleading , and safety patrol! Even though Lily has had many surgeries and health issues, she perseveres with a smile and kind words! Al is an eight year old boy at Austell Elementary. He is an avid sports lover. Al is a well mannered boy who is a "breath of fresh air" to everyone he comes in contact with. He has faced challenges but still has the courage to dream for tomorrow. His dream is to one day be our next president. 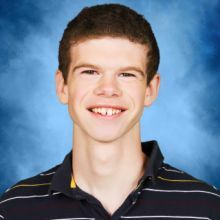 Graham is a 19 year old student at Eaton Academy in Roswell, GA. Graham has PC as well as seizure disorders. He is a huge Braves fan and loves to go to the stadium. Carmella is a five year old girl who suffers from cerebral palsy and hydrocephalus. 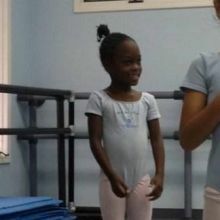 She enjoys ballet, soccer and running. Cheyenne is a 17 yr old junior at Veterans High. She was diagnosed with pachygyria when she was 6 months old. That basically means she has the mentality of a 3-4 yr old.You'll never meet a happier child. She's always laughing and smiling. Chey enjoys playing ball and attending Camp Dream every year. 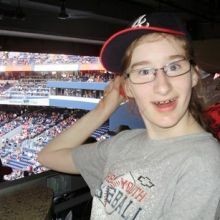 Getting the chance to attend the Braves game this year would be the highlight for her!! 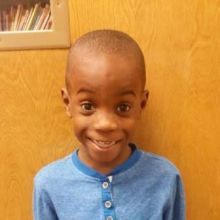 Zion is a nine year old boy at Fairview Elementary. He has Cerebral Palsy and intellectual disabilities. He loves to be with friends and laugh with them during the day! 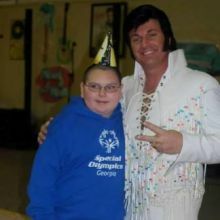 He has begun to participate in Special Olympics in Newton County and Miracle League. 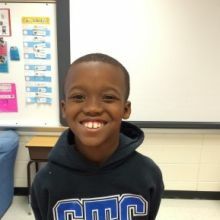 Ragon is a 4th Grade student at Clayton Elementary in Canton GA. He was born prematurely (26 weeks). After he was born, the doctors found a brain bleed and that required Ragon to have a shunt put in. He is an amazing student with a heart of gold. He loves to help his teachers clean their rooms and he always makes everyone laugh. He wants to be a police officer when he grows up because he wants to put bad people in jail. Ragon is truly on-of-a-kind!! Will Carnes is a 6th grader at Hickory Flat Elementary School. He is a good student. Will excels at athletics. He runs track and bowls in Special Olympics. Will is a leader among the students in school. He has a big heart, too. 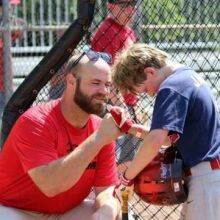 Jackson was born with microcephaly and a visual impairment but that doesn't stop him from doing the things he loves including playing baseball at GAA Special Populations. Jackson eats, sleeps, and breathes baseball and the Braves. He would love the opportunity to chop in the Superior Plumbing Suite! Aidan is a twin born at 25 weeks gestation. Aidan was in the NICU for 4 months. After Aidan was born he had a grade 4 brain bleed which has resulted in him having CP. Aidan is in first grade at Cooper Elementary School. He is the sweetest child. His family is great too. Ariana is a role model 4th Grade Student At Russell Elementary School. We are very proud of her because of her enthusiastic attitude. Ariana loves to read and write and is bilingual, speaking both English and Spanish. 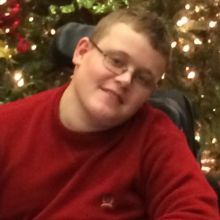 Blake is a 14 year old young man who has worked his way into the hearts of all who know him. He loves and remembers all those who he comes in contact with. If there is something that needs doing, he is the first to volunteer to do it and is always willing to help with anything. 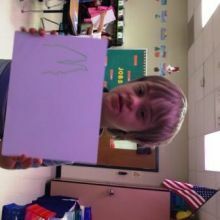 Each day, he asks to go and help other students who are in wheelchairs or need assistance walking from place to place. Blake is a very tall and big fellow, but loves to give hugs, high fives, and knuckle bumps. He is rarely without a big smile on his face to welcome all he passes—at school, home, and out in the community. Kind words, building people up, and helping are usually the things you will see when you see Blake. We call him the Gentle Giant and love him very much! For the past couple of years, Blake has been an encourager, a helper, and a trouper at home. His Dad was diagnosed with cancer in 2013 and has had multiple surgeries and hospital stays. Blake carries a phone so that his Mom can keep him updated. Each time his Dad is coming home from a hospital stay, Blake asks to make a poster to take home to welcome his Dad. He wants all to sign it to encourage his Dad, who he loves with all of his heart. Blake will move on to high school next year. There, he will bless as many people—maybe more—as he did here at Woodstock Middle School. He truly is an inspiration and has taught us all the lessons of being happy, kind, and thoughtful to others. Thank you Blake! We love you!
. 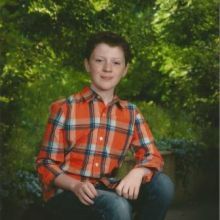 Collin is a 12 year old, 6th grader at Haynes Bridge Middle School in Alpharetta. He is living with Autism. He enjoys classic music and knows many composers. He is involved with a Performing Arts group with his friends. Collin loves going to the park. He also enjoys sports, such as jump roping, baseball, basketball, and swimming. 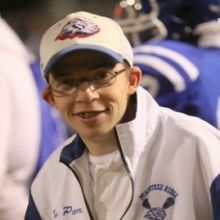 He is involved in many team sports groups for children with Special Needs. He has a great, fun-loving, personality and always lights up a room when he walks in. He loves visiting his friends in school, and loves to meet new people. He enjoys school and loves to learn new things. He always has a big smile on his face and wants everyone to have a great time. I think that he is a great canidate to be chosen for this experience. Will is 7 years old and attends Canton Elementary. He brings a smile to everyone who sees him. He has been a trooper as he just finished his 11th surgery! Will had to have heart surgery as a newborn and used a feeding tube to eat until recently. We have watched Will learn to crawl, walk and eat without his feeding tube. He has taught us to laugh and love life. 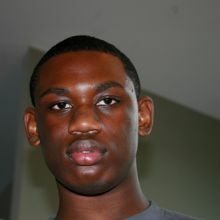 Victor is a 19 year old rising senior at Cambridge High School in Milton, GA. 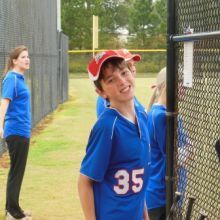 He has played for the Sandy Springs Braves for the past 12 years in Buddy Baseball. He has a passion for life. Victor has cerbal palsey and is in a wheel chair. Victor loves adventure and he has completed three Marine Corp Marathons with the help of enabled athelets. Those who get to know Victor, get to see the light he brings to all who spend time with him. I know that Victor would be a wonderful participant in Superior Plumbing Club. Andrew Fulcher is a 4th grader at Hickory Flat Elementary School. One of his talents is athletics. 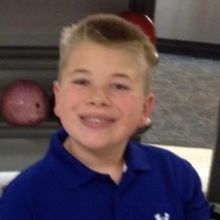 Andrew plays tennis, baseball, basketball and bowling in Special Olympics. He finds great pleasure in the cheering of a crowd. 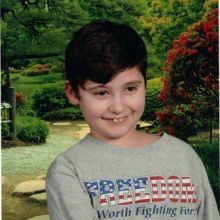 Samuel is an 11 year old boy who loves to go places, see new things, and does NOT want to stay home! 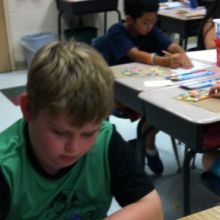 He is a fifth grade student in NE Cobb County. He has an identical twin brother named Benjamin. Both Benji and Sammy have autism. Benji loves to go places and see new things, too! Being able to attend a Braves game in the safety of the Superior Plumbing box seats would be ideal because both boys have a tendency to wander or run to see things that are not always ok to see. Being in the Superior Plumbing box keeps them safe and allows them to have FUN! They both need extra room to pace and wiggle and flap their hands! Thank you for considering Sammy as a Superior Plumbing kid! In the picture, Sammy is the boy in the striped shirt on the right. Also, you see Barkley, their Autism Assistance Service dog! Jordan is a 13 year old at Dickerson Middle School. He has always loved baseball. When he was younger, he played on a special needs baseball team for several years. This past summer, our family took him to his first Braves baseball game. He loved every minute of it. Unfortunately, Jordan’s baseball days have been on hiatus for a while. He was diagnosed a few years ago with LGS, a rare epilepsy condition. His epilepsy is not under control, and recently, he had over 50 seizures during the day. His ability to do anything by himself has been tremendously limited. He has what is called atonic seizures, where his body will just drop to the ground, causing injuries and various safety concerns. My husband and I have purchased a transport chair, wheelchair, chair harnesses, special bathing tub for Jordan just to keep him safe. We have padded his room and environment so he can play, sleep and wake up in a safe place. We have been to the hospital ER (3) times since mid-June 2014 due to injuries from seizures, and we have been to the ER and Urgent Care countless times since 2012 for stitches to his chin, eye, lip, mouth, etc. Jordan wears a helmet and uses other protective equipment; but when you have so many seizures a day, it is hard to not get hurt. 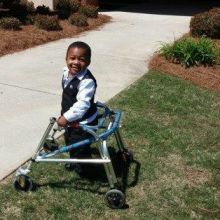 Nevertheless, Jordan always has a smile on his face, and he loves his life, despite all of these medical challenges. 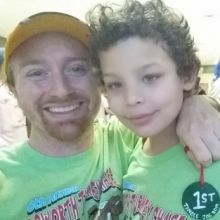 He has taken over 7 medications for seizures and has had one surgery; however, nothing has been successful for more than 9 months. This spring, he may undergo a brain surgery, in which case, he will need care and rehab in the home. His epilepsy appears to be refractory this surgery may be our last hope. 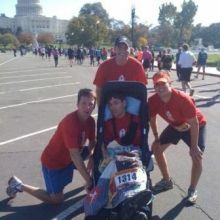 Jordan has other medical conditions that complicate his condition even further. 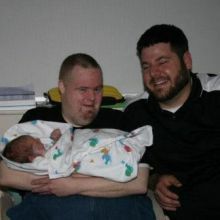 He has Down’s syndrome, Acid Reflux/Inflamed Esophagus, ADHD and Anxiety, and a Sleep Disorder. The epilepsy poses the most challenges to his daily life and safety. Jordan inspires me each day with his incredible attitude and sweet personality. 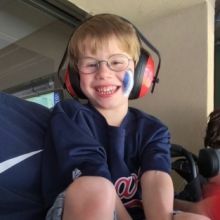 I think he would love the opportunity to see another Braves game; however, if we may ask, he can only go to a day game on a Saturday or Sunday. He takes his meds at 7 pm each day and they make him extremely drowsy. An evening game would not be possible for him to enjoy. Thank you for your consideration and the opportunity. He LOVES his Atlanta Braves, and watching them with his family, at home and at the ballpark. He enjoys the game and watching his favorite players wow him with their abilities. 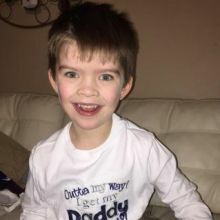 Brody is a six year old little boy who was born with a rare developmental disorder called bilateral opercular dysplasia. The doctors told mom to not expect him to ever walk or talk. Through intense therapy since the age of 2 months, he does both very well. He has recently been given a diagnosis of autism as well. He would love to attend a Braves game! 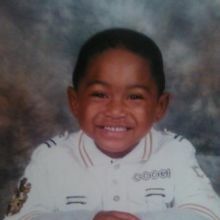 Please vote for this little man. Jadon was adopted from Russia when he was 2 years old. Jadon’s birth mom drank and this caused him to have s Fetal Alcohol Syndrome. Jadon is in kindergarten at Mount Bethel Elementary School and is a class for students with mild intellectual disabilities. Last spring Jadon started playing baseball for the Challenger League. He is about to start his third season and is excited to start. 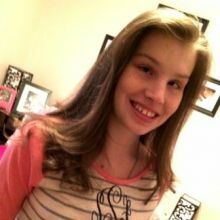 Sarah is a 7th grader at Arnall Middle School in Coweta County. She has spastic quad dystonic cerebral palsy, but that doesn't stop her! She loves art, music, and sports. She loves watching the Braves and says that "Freddie Freeman is her man"! Kim Jacobs brings so much joy to my world and the world of so many others. Kim currently works at the Special Kneads and treats bakery in Lawerenceville. She is one of the biggest Braves fans. She is always up to date with all the players and team happenings. She would be the perfect person to win these tickets because not only will she cherish the opportunity, she will bring excitment to those around her during the game. Please pick Kim Jacobs for a Superior Plumbing Club winner!! GOOO KIM!!! Katy Ann is an active 9th grader in high school. She loves to sing and is in the Sr. High Choir at her church. She is also an avid swimmer and has been on teams for 4 years. She plans to get a job when she turns 16 very soon. She enjoys and looks forward to her big sister comes home from college. Will is a wonderful 7th grade student in the Birmingham area. He has Tourette Syndrome, Asperger Syndrome and Disruptive Mood Dysregulation Disorder. He is a big Braves fan and loves attending games. Zachary is a 13 year old that loves the Braves. 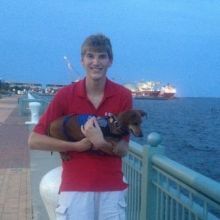 Zach has Asperger's syndrome and developmental challenges. He has dealt with many surgical procedures throughout his life, but is doing well today. 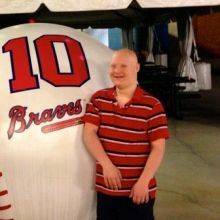 Zach follows every Braves game and would love to see them in person. 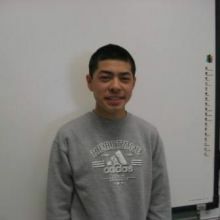 Aleksander is a 14 year old student at Awtrey Middle School. Aleks loves to socialize and is known as “The Mayor” because of his friendly demeanor. Aleks plays baseball on the Horizon baseball league for students with special needs. Aleks gets joy out of help others with a smile on his face. Please consider voting for Aleks, he has a big heart and a very positive attitude. Aleks loves his family and The Atlanta Braves! Joshua is a 16 year old young man who loves to help other, he is known as the "gentle Teddy Bear." Joshua is a A/B student and has won several certificates for being most helpful along with academics. 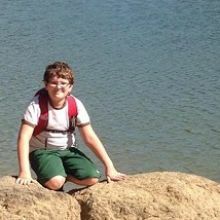 Joshua has Fragile x and Autism, but does not let that stop him from helping others. He loves to clean and make sure everything is nice and neat. 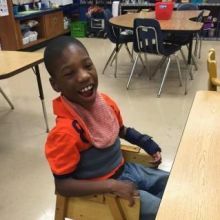 Joshua helps his classmates out everyday and even helps to push another wheelchair bound student. 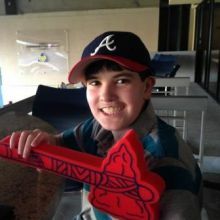 Joshua loves trains and sports and would love the opportunity to see a braves game live! Jonathan is a child with Cerebral Palsy. He always tries his best to overcome all of his challenges and always exhibits a positive attitude. He is helpful and friendly and always has a smile on his face! 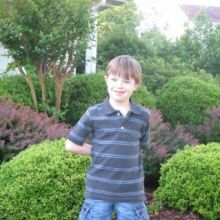 Bailey is a bright 1st grader who attends Northside Elementary in Dallas Ga. Bailey has Sensory Processing Disorder. He loves to watch Trains and play sports outside. Carter is an amazing 11 year old boy. He has Asperger's, as well as speech and language disorder and pervasive developmental disorder. Carter is currently in the 4th grade. He enjoys spending time with his family and playing video games. He also enjoys playing with his cat, reading and drawing. He excels in math. Carter would love the chance to see a Braves game! 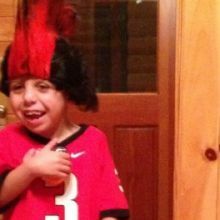 Jeremiah Bellamy was diagnosed with Jacobsen syndrome as a baby. Brian is a 4th grader at Evansdale Elementary School in DeKalb County. He is a TBI survivor that has overcome many things already. He has played basketball and baseball thru Briarlake Baptist Church this year. Playing either seemed impossible 3 years ago when Brian was still unable to walk. His favorite sport is baseball, his favorite team is the Braves, and his favorite way to see the Braves is from the Superior Plumbing Box. Please vote for Brian, so he can have a chance to do that this summer. James is 7 years old. 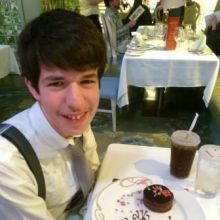 He is HF Autistic, ADHD, and SPD. He doesn't have many friends no matter how hard he tries. He is an awesome little boy. 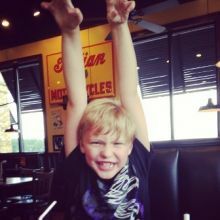 He is an energetic little boy who loves everyone around him, especially his little sister, his mommy and his grandparents. He is smart as a whip. "Drew" is an autistic and mildly intellectually disable student at Kennesaw Mountain High School. He dreams of driving for NASCAR some day. Drew loves to watch a variety of sports with his family. He has been an incredible classroom helper this year! 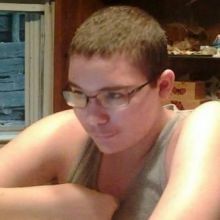 Zachary is 19 years old and is a senior at Harrison High school. Zachary was born 3 months premature weighing 1 pound 14 ounces with Down syndrome. Zachary has fought his entire life. 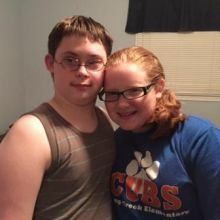 He absolutely has a big passion for sports playing baseball through the Horizon league and special Olympics basketball as well as karate through hearts 4 others, and several others. Zachary's medical conditions have kept him from being involved with a lot of things until the past few years. He loves watching baseball and will watch a Braves game on TV from start to finish. I know Zachary would truly enjoy going to the Braves games! Daniel is a 12 year old boy who loves life! 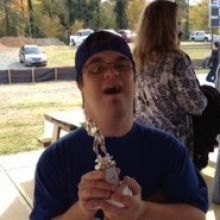 He has participated in GA Special Olympics Summer Games for the past 4 years in Swimming. He loves people and is a joy to be around. He enjoys going to baseball games and traveling. 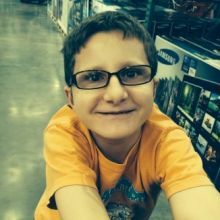 Chaton is my brother he is adopted and is very special needs, he is quiet but loves any type of sports, he's had a lot of challenges in life like being left on school bus all day 6 years ago and bribed not to tell, being bullied at prior schools and picked on cause he is 18 but mentality of an 8 year old. I love him very much and think he would love this experience. Kyleigh is a 12 year old young who absolutely loves baseball. She is looking forward to playing for the "Braves" this spring on the anything goes team. She is an excellent student in regular classes. She uses a communication device to speak and a power chair to get around quickly! She is funny, a good friend and has an excellent spirit about her. 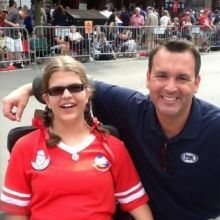 Vote for her to go enjoy a game with the real Braves this year and you will put a smile on her face. Corrie is a student at Starr's Mill High School in Fayetteville. She was born with galactosemia, cerebral palsy, and hearing loss. Corrie is an avid sports fan. She is either attending Starr's Mill sporting events or watching the Braves, Falcons, Hawks or Dawgs! By far her number one team is the Braves. She rarely ever misses a game. One day Corrie hopes to work for the Braves cleaning their cleats!! Timmy moved to Ga. from New York in February. Timmy's Dad who was a huge sports fan passed away two years ago. He has developed his father's passion for all sports. Timmy was the manager for his High School Soccer Team. Being from New York, he loves the Yankees.. but is starting to like the Braves. He also loves football, and hockey. 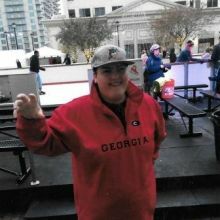 And recently started playing for the Atlanta Sparks Ice Hockey Team. He will also be playing in the Special Olympics for floor hockey. 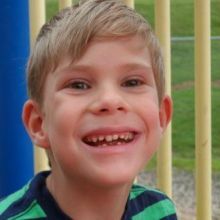 Cooper is a happy smiling 7yr old boy that was born with CMV (congenital Cytomegalovirus), and as a result of the virus has Cerebral palsy and Epilepsy. He is in a wheelchair but is able to operate it himself. Cooper also has two sisters that he enjoys watching play softball. He always has a smile on his face. 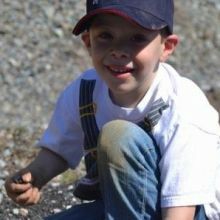 Mitchell is an amazing little boy with the sweetest spirit and love for life. He will be turning 7 on April 28th. 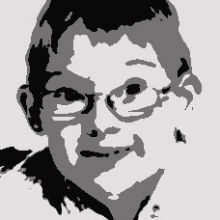 Mitchell has Cerebral Palsy, Epilepsy, and is nonverbal - however, that doesn't prevent him from singing - which he loves to do! 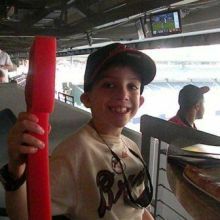 Mitchell was able to attend a Braves game last year through Superior Plumbing and LOVED it! It was such a special time for him and his family, as Mitchell doesn't get to go to many outdoor events when it is hot outside. Mitchell loves to watch baseball and sing "Take Me Out to the Ballgame!" Spending time at the stadium, cheering on the Braves, would be such a treat for Mitchell!! Riley is a fun loving person with mildMR. He enjoys watching and playing baseball, which is his favorite sport. Riley has overcome many obstacles in his life. He has become more independent. He has fully embraced his manhood. He recently rappelled 20 feet over the edge of the Lenox Mall. Riley has persevered through many things. He has a bright future ahead. We will continue to watch him blossom into the young man he is destined to be. For this reason, we nominate Riley Vaughn!!! Archer is now 6yrs old. He has a Sensory Integration Disorder and unspecified delays. He has been the guest of Superior Plumbing twice and had the time of his life. He loves dirt, nature and the moon. 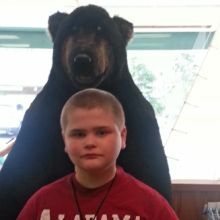 Matthew has been diagnosed with autism, sensory processing disorder, ADHD, and disruptive behavior disorder. Most everyday tasks that we take for granted, he struggles with. He is a sweet, super little boy who LOVES watching and playing baseball!!! 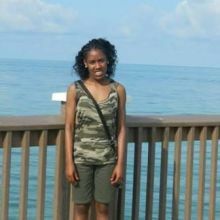 Nicole is an outgoing, loving, sweet, twelve year old girl. She was born very ill and diagnosed as having a partial deletion of her ninth chromosome (Alfi's Syndrome). Despite her diagnosis, Nicole has persevered and has been an inspiration to so many people. Nicole is always the first to help a friend in need. Nicole brings joy and laughter to everyone she meets. Nicole's favorite times have been at past Brave's games. 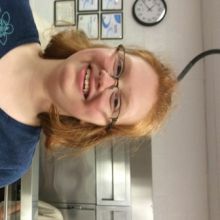 Nicole enjoys swimming and playing basketball with Special Olympics. 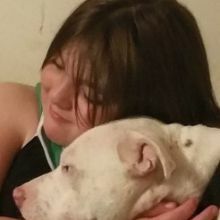 In her spare time, Nicole helps rehabilitate abused and neglected animals so they can find their forever home. 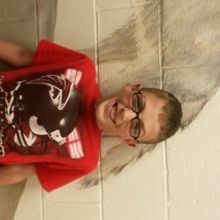 Jake is a student at Teasley Middle School who loves to run and play baseball. He's very loving and enjoys being outside. Jake would really like to be a part of a Braves' game. James is 17 years old and absolutely LOVES the Atlanta Braves! 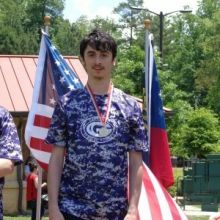 He participates in Forsyth County Special Olympics in Softball, Bowling, Swimming, Floor Hockey, Bowling and hopes to try Flag Football this year. Candace was born with spina bifida but hasn't allowed that to hold her back in her desire to be the best person she can be. Candace participates in the Transition Academy at Hillgrove High School where she is learning independent life skills. She enjoys helping others and is always willing to lend a helping hand to her teachers. 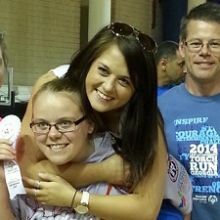 She is involved in special olympics through horseback riding, softball, and kayaking. She enjoys playing and watching all sports. She has a cheery disposition and enjoys interacting with her friends. Kaiden is one of the sweetest kid I'd ever met! He is very loving and caring. He is also very social with others within his community!!! Kaiden's favorite thing to do is play baseball, his electronics, going to the pool, Chuck E Cheese and anything with baseball, football and basketball! 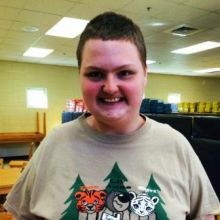 Cody is a 20 year non-verbal student in the Transition Academy at HAVEN Fitzhugh Lee campus. According to grandfather , Cody grew up loving the Braves. " 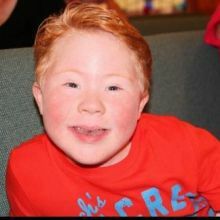 he has loved and played with all his Special needs friends since age 5 years". He played on the Gold medal winner in Special Olympics for the last two years. He wears Braves hats, socks and shirts every day. His room is decorated in the Braves colors and is decked out with Braves bedspread and pictures.He watches and listens to every Braves game incluuding re-runs. Cody is a true Braves fan and loves the game of baseball. Cody will be 13 in April and is rockin' the 5th grade this year. Cody has Cerebral Palsy. He LOVES the Braves. Cody and Chipper Jones have the same birthday. He never misses a game on TV. Cody plays baseball for the Miracle League and is known on the field as "Cody the Crusher Carroll"!! Cam has cerebral palsy and a white matter brain injury. This causes a significant developmental delay, mobility disorder, etc. He also deals with multiple medical problems such as asthma, severe excema, and multiple allergies. However, he manages move around with his walker and smile at anyone that comes his way. His spirit is precious. Austen is known as the #1 Fan of River Ridge High School Sports. 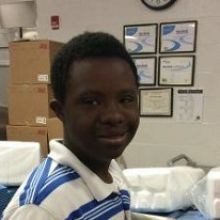 He is the most friendly, outgoing student at RRHS with always a smile on his face and a skip in his step. Austen is our constant encourager and motivator to not just football but to all River Ridge sports teams. Michael is a sweet caring young man who has never met a stranger. He is so excited and is looking forward to an amazing spring and summer. He is diagnosed with Autism, Marfan's, and CAPD, along with a few other things, but he never let's this stop him. He serves as a global messenger for Special Olympics GA and spreads the word about how differently ABLED people can do many things. He loves sports and competition. He attends high school and spends most of his time in a self-contained class but gets to express his creativity in drama and ceramics. He is a SENIOR and is looking forward to graduation. . He loves to cheer on his hometown BRAVES so vote for him! 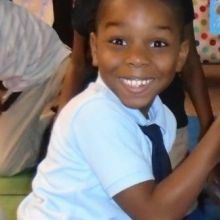 McClain is a happy, sweet and funny kindergarten student at Burnt Hickory Elementary School in Dallas, Georgia. 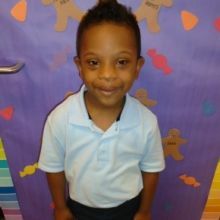 McClain enjoys learning, music and playing with his friends. He loves to greet all his classmates each morning. McClain is always willing to lend a hand to help anyone in our school. 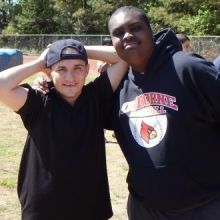 Our school works closely with the North Paulding High School to have the older students mentor our young students and McClain has made many friends through these activities and at the high school . McClain would be the ultimate Braves Fan! Charles has autism; he is nonspeaking and has a seizure disorder. 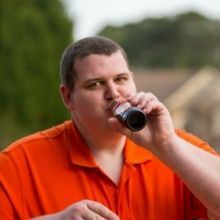 Despite his challenges, he has had the ability to participate and compete in a variety of sports (baseball, swimming, bowling, soccer, volleyball, basketball, and tennis) for a number of years with baseball being the longest, 12 years. 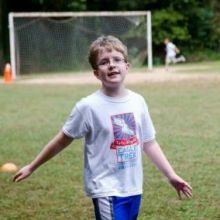 Charles is happiest when he is playing or competing in sports. He will quickly stick out his hand and give anyone “hi five”…his way of saying “I am HAPPY!” He is a different person because sports helped shape him into the warm and pleasant young man that he is today. Joshua loves Braves baseball. 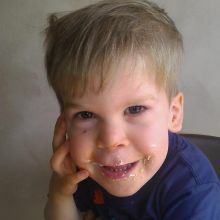 He has Kabuki Syndrome and is profoundly deaf. He would love to attend a game and has appreciated the folks from Superior Plunbing for allowing him to attend! Camron just celebrated his sixteenth birthday. He is diagnosed with speech delay , Autism and developmental delay. 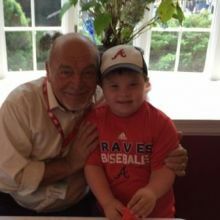 He enjoys going to church , singing in the choir, going to Fire Explorers, playing baseball with the Miracle League, going to Braves games , Georgia Tech games,and participating in Special Olympics. He loves the Lord with all of his heart , the Braves, Georgia Tech,game shows, Elvis and Jovita Moore. Fabian is a 9 year old student at Mableton Elementary School. He is a very smart and kind student who loves to learn and come to school. He enjoys sports and loves to learn new skills. 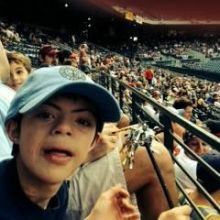 Please vote for Fabian so that he can enjoy a Braves game!! Skye is 17 and a big Atlanta Sports Fan!! 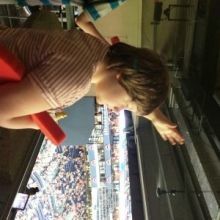 She loves all of the pro sports teams for the city so much so, that if she can not watch the games on television she will follow the box score online. 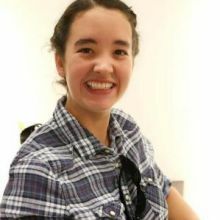 Skye is diagnosed with Autism and Intellectual Disability. She attends Tri- Cities High School in East Point. She makes good grades and is a well rounded student despite her challenges. Skye's hobbies are singing, dancing, and watching whatever sports game she can catch! 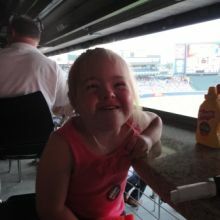 Skye would love the opportunity to attend the Braves games and see her boys play (as she calls them)! 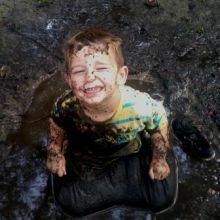 Leo has had many diagnoses over the years, including Autism, Extreme ADHD, and Mood Disorder. Recently he experienced a manic episode and has added Bipolar to that list. Due to this he has missed the last few months of school and doesn't understand why he can't go see his friends. 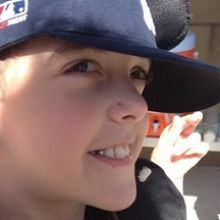 Leo is the sweetest kid, with a huge, compassionate heart, and deserves a little TLC and R&R. Avery is a five year old Kindergarten student at Austell Elementary. He is a boy who loves sports of all kinds and has a big heart. If you look out on the playground he will be the one who is running the fastest and trying to keep up with the big kids. 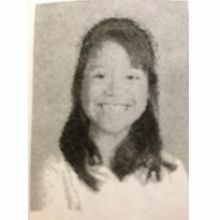 Amanda Todd is 20 years of age and in her 6th year at NPHS. She will be returning next year to North for her final year. 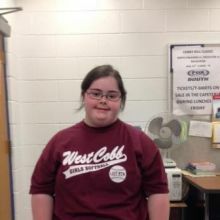 Amanda has formed many friendships with her peers.Over the years, Amanda has participated in the bowling and track n field Special Olympic events. For fun, Amanda is on a softball team and they play their games at Lost Mountain Park in Cobb County. In her free time, Amanda likes to listen to music bands such as One Direction and Emblem 3. Jonathan is the most amazing young man. He is 10 3/4 years old and is in 3rd grade. He has ASD, complex partial seizure disorder and is non-verbal. He has the use of a "talker" to help him with his communication needs. He works so very hard on a daily basis with school and therapy, therapy, and therapy. Did I mention, he has A LOT OF THERAPY?? He works so hard every day and we'd love it if he can enjoy a baseball outing with his father. 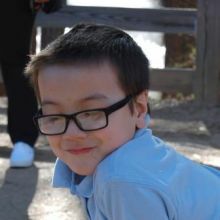 Luke is 8 years old, and was born with spina bifida and hydrocephalus. He is an avid hunter and fisherman, and he loves listening to the Braves on the radio while playing catch in the backyard with his dad and sisters. McKenzie is 16 years old. She was born prematurely. Shortly after birth she was diagnosed with CP. McKenzie is a sophomore at Northview HS. She uses a wheelchair and walker to navigate between classes. 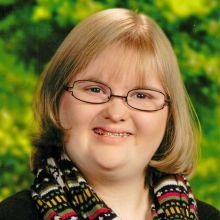 McKenzie enjoys school immensely, especially science, literature and chorus. Overcoming her learning and physical disabilities, McKenzie is an honor student. McKenzie is the team manager for Northview's women's soccer team. She loves cheering for the Braves and plays baseball in the North Metro Miracle League. McKenzie was fortunate to be a guest of Superior Plumbing last year at Turner Field and would love the opportunity to return this year. Thank you Superior Plumbing for your community involvement and what this means for the children!!! Samantha "Sami the Slugger" Simonton is the Atlanta Braves #1 fan!!! 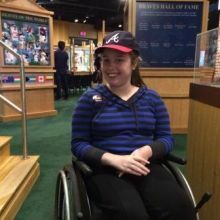 Having been a player for the Miracle League for 13 years, Sami follows each and every Braves game, and using her laptop follows the stats around both AL and NL daily. 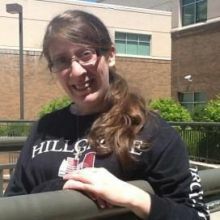 Sami excels academically as a Junior at Monroe Area High School, and enjoys taking AP courses and helping others learn to read Braille. She is looking forward to a bright college career in the near future, and hopes to one day be able to work for the Atlanta Braves organization! Christopher was born with Down syndrome but that doesn't hold him back. He is a huge Braves fan and loves Superior Plumbing! 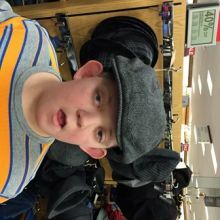 Gavin is a sweet 8 year old boy with Downs syndrome. Everyone here at Duncan Creek loves him, he has made so much progress this year. He loves coming to PE class, sometimes he cries when it is time to leave. He has wonderful parents who are very involved and encourage him to participate in all activities at school This would be a great opportunity for all of them. 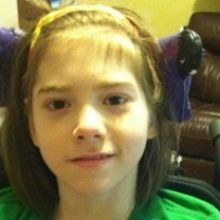 Ansley is a wonderful young girl who always wears a big smile on her face. She enjoys playing sports and participates well in physical education class. Ansley also has a very strong arm that comes in handy when throwing a ball. I have a learning disability and seizures disorder. I love going to different sporting events like the Braves, WWE, Basketball, NFL. When not doing these things, I do special olympics things through Douglas County GA. 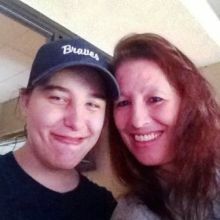 I watch the Braves the whole time they are on and would love to come to a game some time this year Go Braves. David is the sunshine to everyone he comes in contact with. His has the best smile that can light up a room. No one is a stranger to David, he loves giving everyone huge hugs. He greets everyone he meets with a happy hello and can make anyone's day better with his special love. He has an amazing demeanor and is the perfect student. 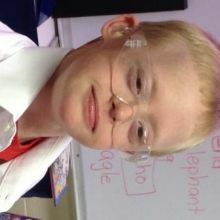 He demonstrates great leadership skills and is a role model for both his special and nondisabled peers. Victor is a six year old boy at Austell Elementary. He is a very gifted young man and has many talents. He loves sports, art, and learning. Victor has been a shining star in the classroom and we have not yet seen his full potential. Jake is 9 years old and he is a die hard Braves fan!!! He enjoys all sports and plays baseball. Jake is quite the hitter! Jake loves attending Braves events! Elizabeth is 18 and is homeschooled. She has cerebral palsy and gets around in her power wheelchair. 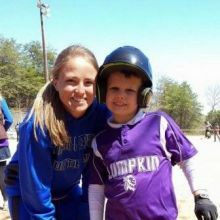 She loves baseball and has been in the Acworth Special Needs League since it started. She writes books and short stories and enjoys playing with her younger siblings. Orion has continued to develop his social skills every year since being diagnosed with Asperbers 7 years ago. Now in 7th grade, he continues to excel academically. Completing his 2nd year of Boy Scouts, Orion has set a goal of earning his Eagle. As his parents, we could not be more proud of our son - he is the best blessing in our life and we love him so! 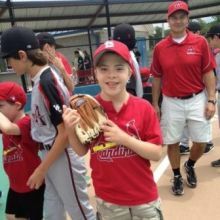 Noah is a very active fun autistic 5 year old who loves baseball! He is even starting on his own league this year! All the men in our family have a long history with baseball and even an uncle who was set for the minors! 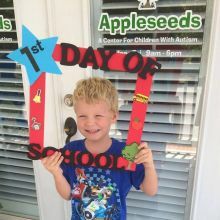 Noah is a hard working student at Appleseeds School for children with Autism. 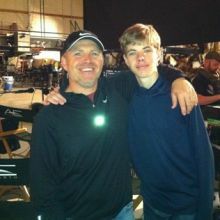 Ben is a 10th grader at Sprayberry High School. 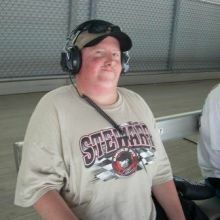 He is active in Special Olympics and Community Based Skills Training at Sprayberry HS. Outgoing, performs his task with pride and loves his Yellow Jackets!! Alexa is a sweet girl who loves basketball and baseball. She has two sisters, 3 dogs and a cat. She was born with a seizure disorder and also is intellectually impaired. She is a joy to everyone she meets. 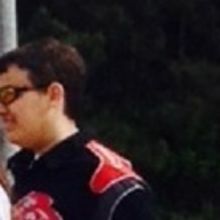 Gabriel is 14 years old and has been diagnosed with autism. He is just full of life and the joy of his mothers life. 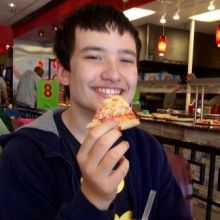 He loves pizza, his dogs Zoe and Beags, playing his DS and video games and spending time with his cousins. It would be such a treat for them to be able to enjoy the game together as his mom, a single mother works very hard to support them both. 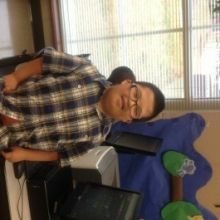 Ryan is waiting to attend Roosevelt’s Warm Springs Institute so he can learn independent living skills and computer information systems. He dreams of becoming a video game designer one day. Each day he learns skills at home that will help him live a successful life where he can contribute to his community. 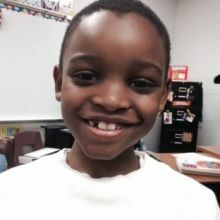 Joshi is a happy, energetic, and loving 2nd grader at Still Elementary. He loves to play any sport, especially baseball. Joshi's family, friends, and teachers are so proud of how much he has grown. He would love to go to a professional baseball game! How can you say no to this sweet face? Vote for Joshi! Colin is my older brother who is 20 years old, I am 18 and couldn't ask for a better brother. 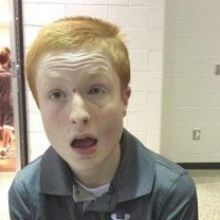 Colin was born with a mild form of down syndrome. 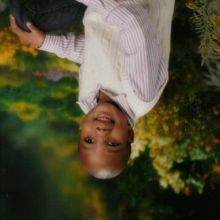 When he was 2 he lost all of his hair because of a disease called alopecia. Then, during a family vacation in Hawaii when he was 8, he became diagnosed with diabetes. Despite all that has happened in his life, he has been a blessing to everyone he's met. 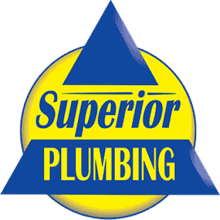 Colin is a huge sports fan and an even bigger braves fan, and would love the opportunity to experience the braves game with the help of Superior Plumbing!